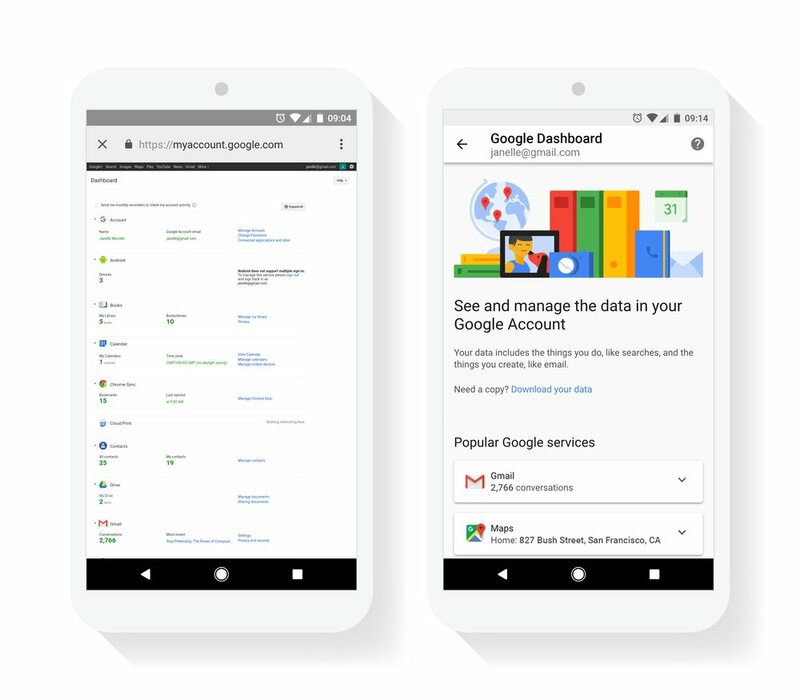 Today, Google announced a major UI overhaul of their Privacy Dashboard page. The change is meant to make the existing control hub better suited for contemporary touchscreen devices, in addition to providing users with a more streamlined interface which presents relevant information in a straightforward manner. The upcoming iteration of the Privacy Dashboard looks like its most significant redesign since Google launched it in 2009, with the new take on the feature being more in line with the company’s Material Design guidelines. The Mountain View, California-based Internet giant said that the change was prompted by the constantly rising number of its products, with tools like My Activity and My Account supposedly showing that the Privacy Dashboard isn’t efficiently integrated into the firm’s other privacy control functionalities and warrants a redesign. As the subject of user privacy and online security is becoming increasingly more important, Google was seeking to design a more streamlined Privacy Dashboard which would allow users to quickly find out which of the company’s products are using their data and for what purposes, in addition to providing them with simple management options of limiting that usage. As you can see in the screenshot, the new interface is much cleaner for mobile devices and neat compared to the old one. Google also attempted to facilitate the process of downloading data which users are always able to initiate. The company stated that the redesigned version of the Privacy Dashboard was made in line with feedback from thousands of people who rely on its products on a daily basis, stating that it’s adamant to continue pursuing that development approach in the future. This update is rolling out worldwide and should be fully reach to users till next week.